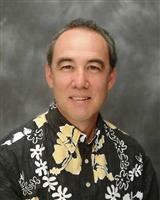 I became a member of the Dower Realty ohana in March 2004 as a Realtor-Associate. Prior to that, I served on various management positions at Verizon Hawaii (fka GTE Hawaiian Tel) for nearly 25 years. In January 2007, I joined the Dower Realty Property Management team managing more than fifty residential rental properties in my personal inventory and supporting the team's total inventory of around 200 properties. In June 2015, I stepped down to resume my brokerage service. As a Realtor-Associate and Property Manager, I am part of a unique local company established by highly respected Elizabeth Dower, who rose to the top of her profession since starting in the real estate business herself in 1971. At Dower Realty, Inc. we proudly provide general brokerage and property management services as well as a school for real estate licensing and continuing education. I look forward each and every day to serving each and every client, customer, and investment property owner in the same exceptional way, making their real estate and property management transactions a pleasant and rewarding experience. Let me know if I can be of service to You. Mahalo and Aloha!